One of our most requested appetizers for any party we go to is our bacon wrapped jalapeño poppers, but with large crowds it gets pretty time consuming. 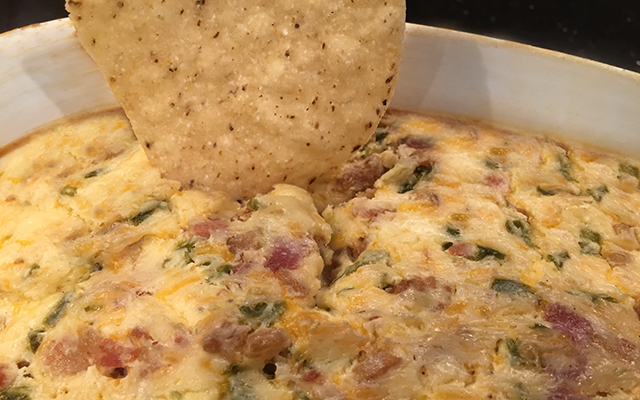 We took the great flavor of the poppers and simplified them into a dip. 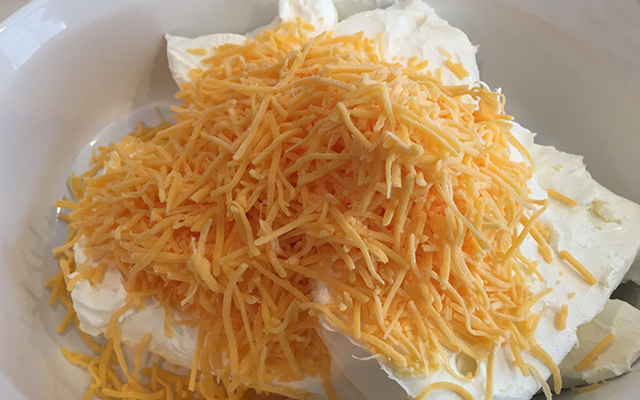 Give this easy recipe a try and be the King or Queen of the Super Bowl party. 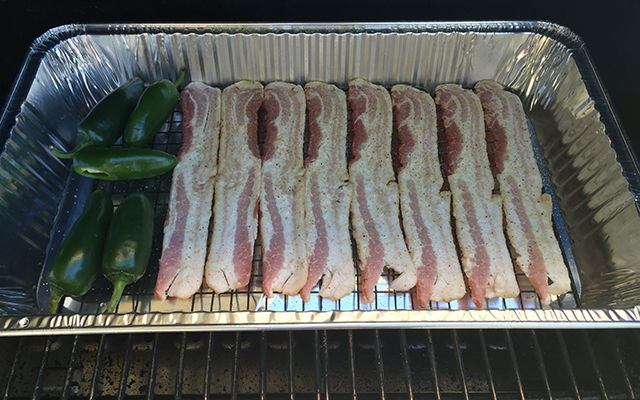 Start by lightly seasoning both sides of your bacon with your favorite rub and smoke along side your jalapeños for 1 hour at 275f or until bacon is done (I suggest cooking them in a tray with a wire rack). 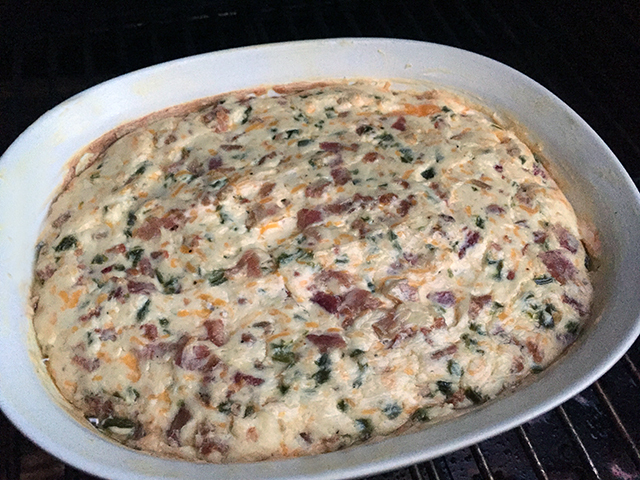 While your bacon and jalapeños are cooking mix 1 cup of cheddar cheese with 24oz of warmed cream cheese. 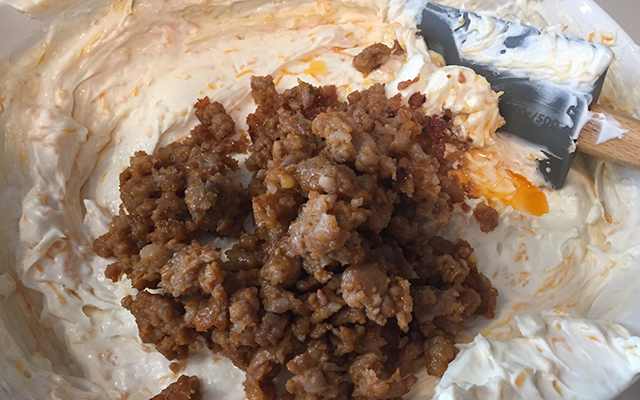 Then brown 1/2lb of Italian sausage and combine with cream cheese mix. 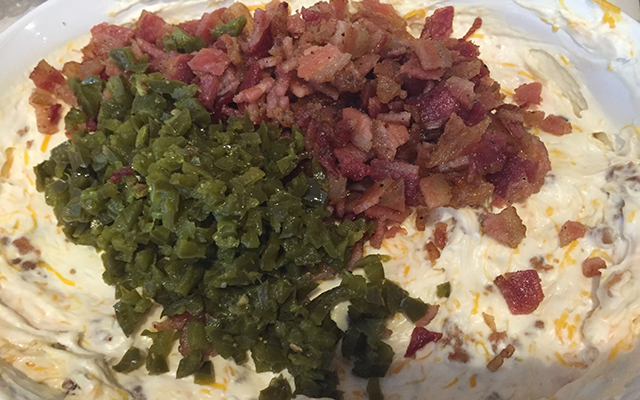 Fine dice your jalapeños and bacon and fold into your mix. Place your mix back in the smoker and cook an additional hour at 275f uncovered. Serve warm and enjoy! Its that easy.